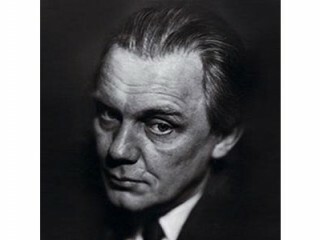 Erik Gunnar Asplund was a leader of modern design whom the magazine "Architectural Review" called the "high priest of functionalism in Sweden." Gunnar Asplund was born in Stockholm. He studied at the Technical High School and then at the Academy of Art, graduating in 1909. That year he entered an architectural competition for the Swedish Church in Paris, basing his design upon Swedish traditional architecture. He also used this approach in two competitions for schools, one at Karlshamn (1912) and the other at Hedemora (1913); the latter was not built, being considered insufficiently monumental. In 1913 he won the competition for an extension to the Town Hall in Goteborg and toured Italy and Greece. The Stockholm Exhibition buildings of 1930 not only established modern architecture in Sweden but also established Asplund as the leader of a group of young architects within the Arts and Crafts Society. Four years later Asplund was given the commission for the extension to the 17th-century Goteborg Town Hall, which he had originally won in competition in 1913. His original design had been monumental and axially designed with a symmetrical entrance from the side of the building. His design of 1934, influenced by the work of the architect Le Corbusier, used classical proportions to express the structure. Internally, a spacious hall links the courtyard of the old building with nothing more than a glass wall to prevent the free flow of space. Swedish green marble, grained plywood, and a color scheme of white and blue contribute to the feeling of a totally modern structure. Asplund's last major work was the Woodland Crematorium (1935-1940); it is monumental and yet severely simple, notably in the entrance portico. View the full website biography of Gunnar Asplund.